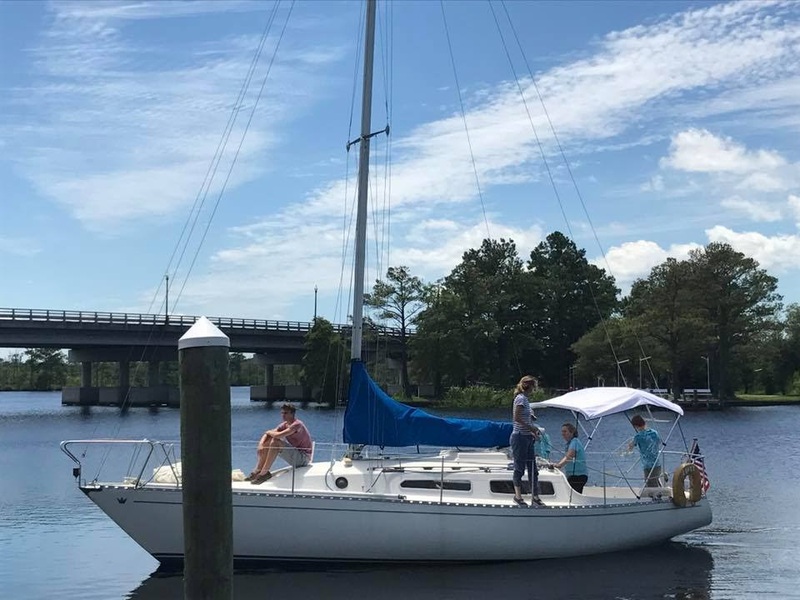 Sea Scout Ship 16 chartered to Beech Grove United Methodist Church in Suffolk, Virginia in the Colonial Virginia Council completed their 2018 Long Cruise via the Albemarle Loop in North Carolina. 8 Sea Scouts and 4 adults sailed from Nautical Boats in West Norfolk on June 24 and returned on July 3 on sailing vessels Freedom II, a Contest 31HT, and Lofty, an Elvstrom 32 Cruiser. Traveling down the intercostal waterway with five boats from Ship 37 Smithfield, Virginia, the boats stopped at Midway Marina in Coinjock for the night and then sailed to Alligator River Marina with all seven boats under sail. The following day, Ship 16 and 37 parted ways as 37 headed south and 16 sailed west. 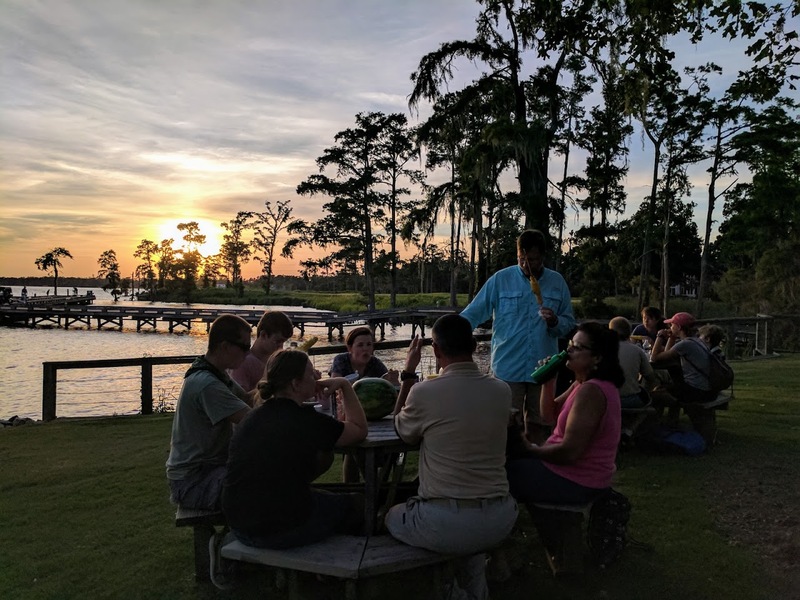 Ship 16 visited the communities of Columbia, Plymouth, Edenton, Albemarle Plantation, and Elizabeth City before rejoining Ship 37 in Manteo for a pizza party. The following day both units headed north back to Coinjock and the following day was a long motor up the intercostal waterway to return to Virginia. The weather was nearly perfect for sailing with most days having winds between 5 and 15 knots and temperatures in 80s and dropping into the 70s at night. During a visit to the Roanoke River Lighthouse and Maritime Museum in Plymouth the Scouts witnessed the opening of a new exhibit on Sea Scouting in the 1950s and 1960s. At Albemarle Plantation the Osprey Point Yacht welcomed the Ship with an ice cream party. The Albemarle Loop is an outstanding value for any Sea Scout unit. Marinas at Columbia, Plymouth, Edenton, Albemarle Plantation, and Elizabeth City wave dockage fees for overnight visits and the only fees were for shore power and ice. For more information on the Albemarle Loop visit http://www.albemarleloop.com/. For more photos of Ship 16’s Long Cruise visit their Facebook page at www.facebook.com/Ship16/. During summer vacation Ship 16 sails every Thursday from 6pm to 8:30pm and most Sundays from 2pm to 5pm. In the winter they meet at Beech Grove UMC every Thursday from 7pm to 830pm. Locations may vary, so please contact them in advance. Skipper Michael Kiser can be reached at mskiser@alum.bu.edu or 757-645-7656. We’d love to feature your ship’s long cruise here too! Send us your story! No more Tour and Activity Plans!